Born in the city of Uppsala in 1918 to a conservative Lutheran minister and his wife, Bergman's childhood was a difficult one. Along with his brother and sister, he was subjected to strict disciplinary measures that possibly encouraged his tendency to seek solace and inspiration in a fantasy world. He was conscious from a young age of the power of imagery, and the path of Bergman's life was set when he acquired a magic lantern, a type of image projector invented in the 17th century that allowed him to explore his environment in a new way. Despite several flirtations with Nazism, Bergman settled at Stockholm University where he unsuccessfully studied for a degree in art and literature. Rather, he used the time to develop his key interests (film, theatre and romance), and he used his university years to write several plays. After graduation he joined a local Stockholm theatre as a trainee director, and he pursued a career in live theatre over the following two decades working stints at Helsingborg City Theatre (1943 - 1946), the Gottenburg City Theatre (1946 - 1949), the Malmo city theatre (1953 - 1970) and eventually the Royal Dramatic Theatre in Stockholm (1960 - 1966). 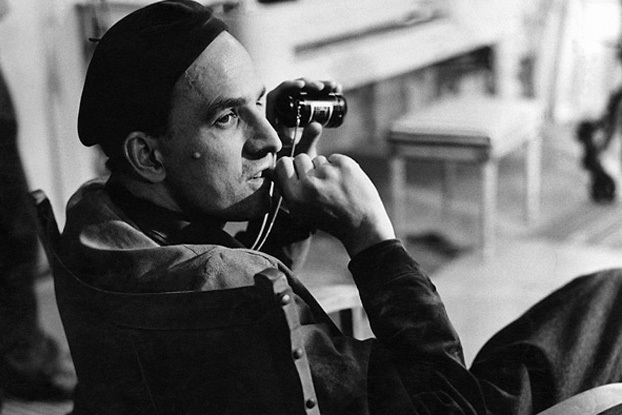 While working in theatre, Bergman simultaneously developed a film career that ultimately made him one of the most influential film directors of the 20th century. Largely based on the island of Fårö, he began in the early 1940s writing scripts, but progressed to directing within five years. Within a decade he achieved worldwide success with Smiles of a Summer Night(1955), which were quickly followed by The Seventh Sealand Wild Strawberries. He continued to direct films over the following decades including a triptych dealing with religious faith and some of his best known works Persona, The Virgin Spring, Autumn Sonataand the television film Scenes from a Marriage. He was director of the Residenz Theatre in Munich (1977 - 1984) during a period of self imposed exile after he was accused, in 1976, of tax evasion. Although he was eventually proved to be innocent of the charges, Bergman's fury at the public humiliation caused by the situation lead him to shut down all projects then in progress in Sweden, shut down his studio on Fårö, and moved to Germany, where he resided until the mid-1980s. Bergman married five times, and had romantic relationships with three of his key actresses including Liv Ullmann, with whom he had a daughter Linn, who is one of nine children he fathered. His longest relationship was with Ingrid von Rosen, to whom he was married from 1971 until her death from stomach cancer in 1995. Bergman spent his final years living in Sweden, and he retired from filmmaking in 2003. He suffered from various health problems and passed away in his sleep at his home on Fårö island in 2007 at the age of 89, on the same day that Italian filmmaker Michelangelo Antonioni passed away. This is an extract from the program for Face to Face, which is available for $10 from the the program seller in the Sydney Theatre foyer. Face to Face, Sydney Theatre, 7 August - 8 September, 2012.